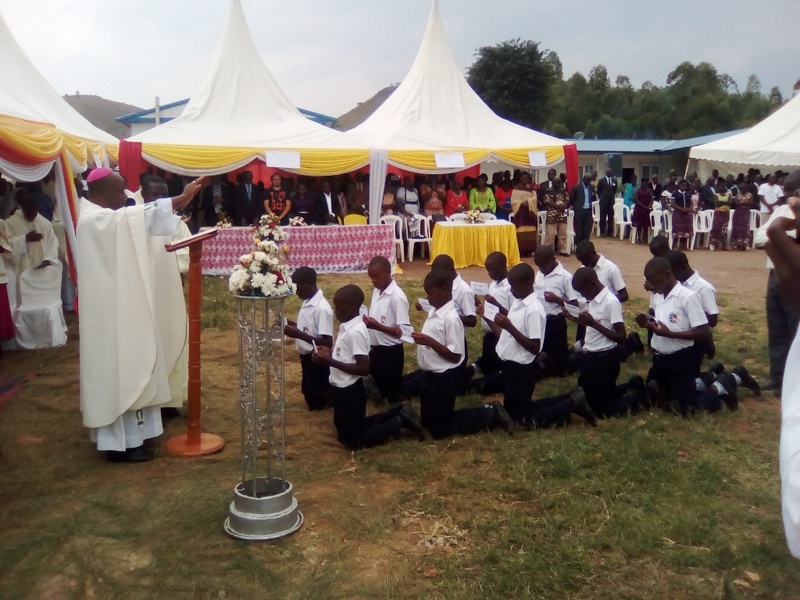 NTUNGAMO- Mbarara Catholic Archbishop Paul Bakyenga on Tuesday officially opened St Augustine Minor Seminary, the second junior seminary in the archdiocese, and asked Christians to offer their children to the institution to be trained as priests. Speaking during Holy Mass at the seminary located in Rweera Parish, Rweikiniro Sub-county, Ntungamo District, Archbishop Bakyenga said the seminary will be second in the archdiocese after Kitabi Seminary, which started in 1935, adding that it will act as a seed for Catholic priests in the archdiocese. 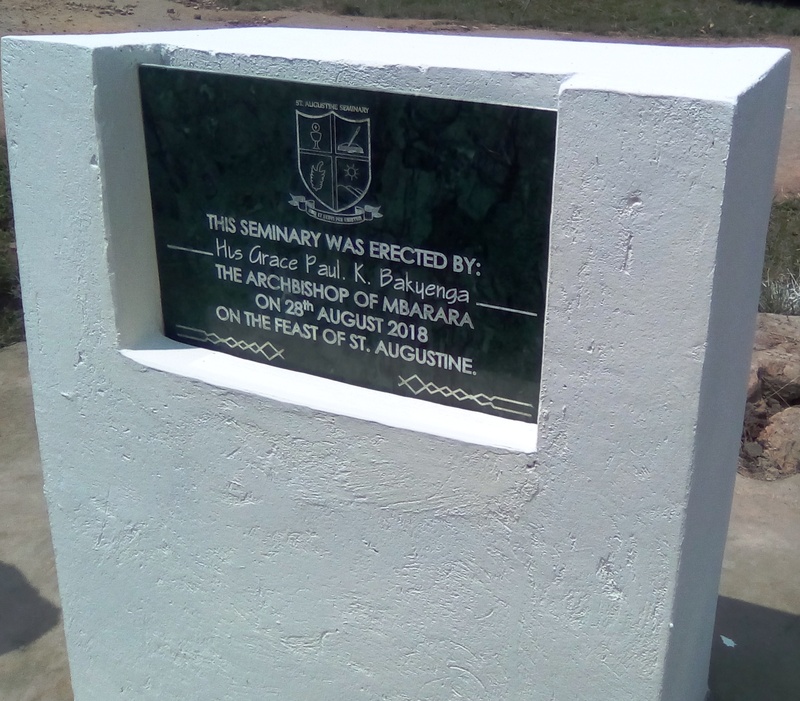 “Due to the increased demand and number of students admitted in St Francis Xavier Minor Seminary Kitabi, we realized the need to start another minor seminary in the parish of Rweera. That’s why we are here today, 28th August 2018, on the feast of St Augustine, the patron of Mbarara Archdiocese,” he said. The new seminary is hosted in the former buildings of Zhengmei Construction Ltd, a Chinese company which was constructing Ntungamo- Mirama Hills road and started this academic year with Senior One students only. The Rector, Rev. Fr. Denis Beinomugisha, hailed the Archbishop Bakyenga for starting the seminary aimed at increasing the number of Catholic priests and promoting education in the country. 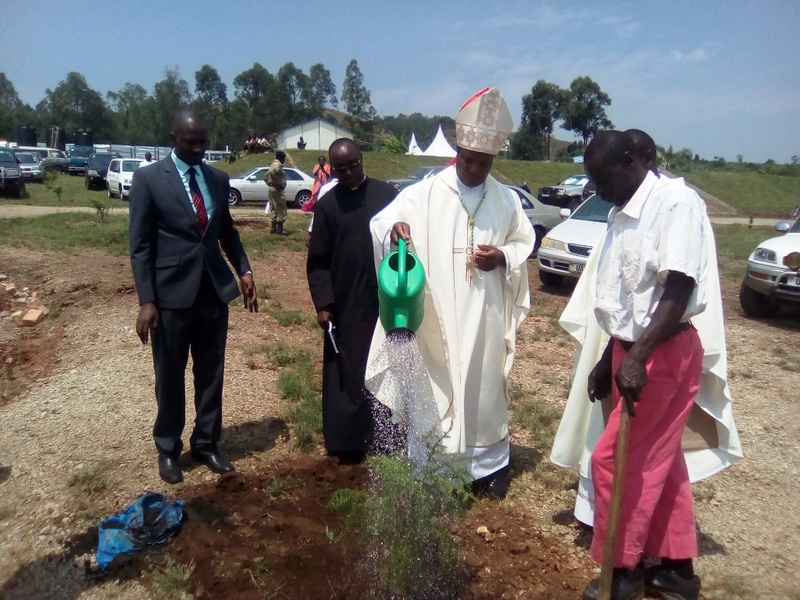 The chairman Rweera Parish Council, Mr Kiiza Federis, also hailed the creation of the new seminary in the area, saying Kitabi was too far to students from Ntungamo District. Over 30 million shillings was raised in cash and pledges towards the construct of seminary buildings. 13 pioneer seminarians received the Sacrament of Confirmation. Auxiliary Bishop Lambert Bainemugisha was also present at the function.